Find My Workspace lists over 95% of the business centres market in Elstree. Simply click Request Quote to check pricing for one office, or Add to Basket for multiple offices. 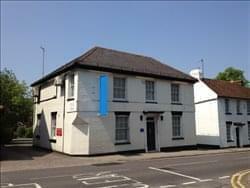 This charming 19 Century building situated in the heart of Elstree Village stands on the edge of the green belt. The recently refurbished building has been brought up to twenty first century standards whilst respecting its heritage. Several offices have the advantage of air conditioning and on site car parking is an additional feature. The centre provides tenants 24 hour access to their space of work with 24 hour security to give you piece of mind. The space has a broadband internet connection and a kitchen area for tenant use.